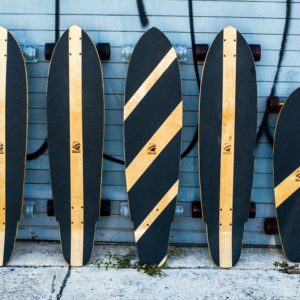 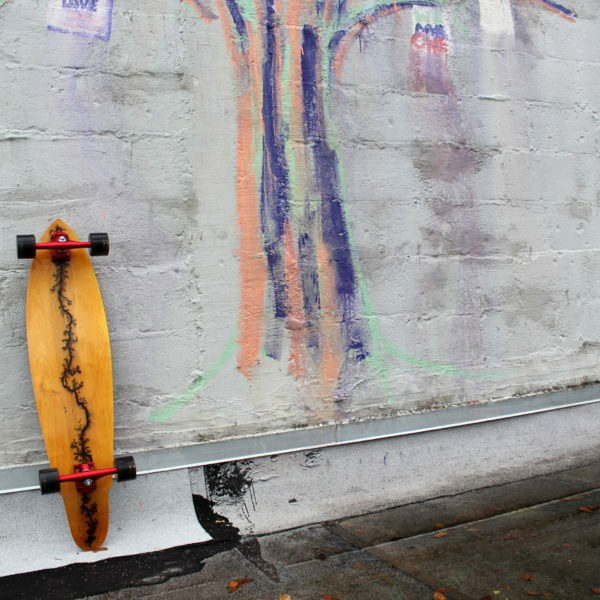 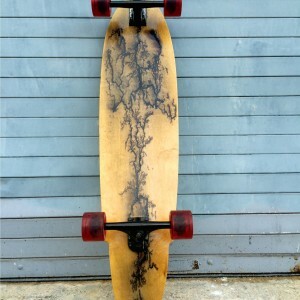 39″ Cruiser Longboard #614 – SOLD | Holz Longboard Co.
Hand crafted cruiser longboard 39 x 9.5 inch made out of 2 layers of 1/16 inch Maple , 2 core layers of Bamboo and 2 face layers of 1/8 inch Baltic Birch. 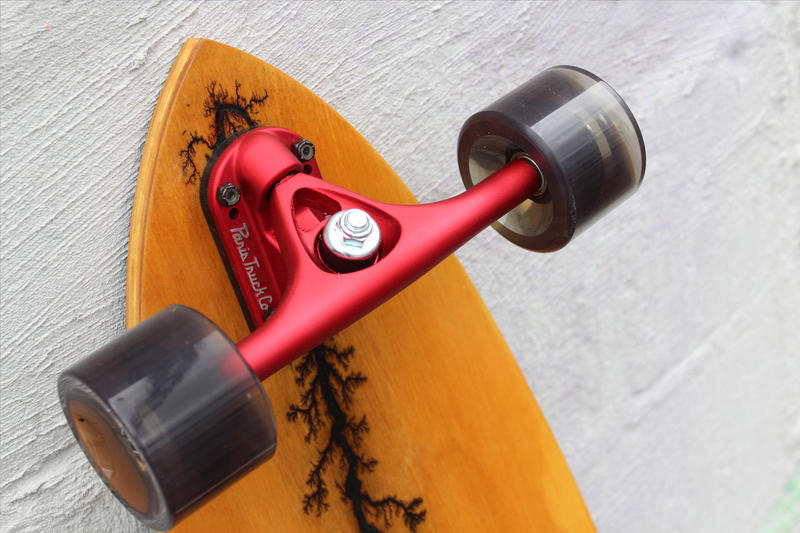 The deck has a 1/2 inch concave and 5/8 inch camber. 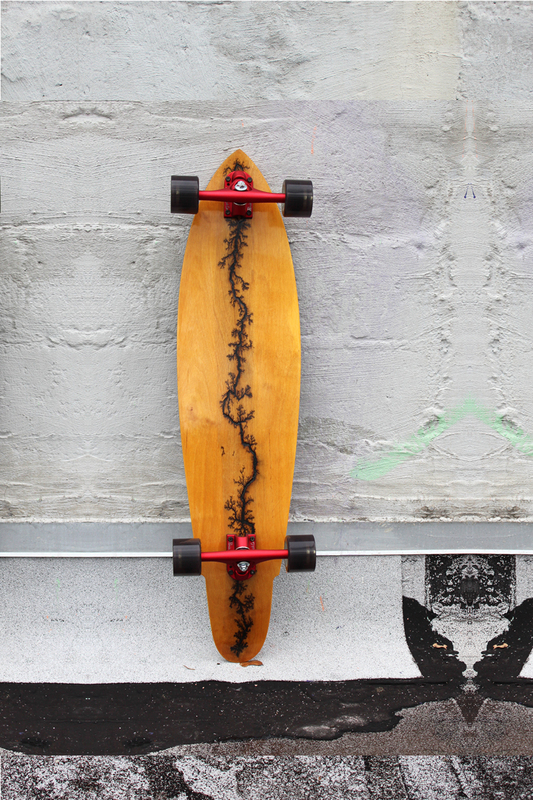 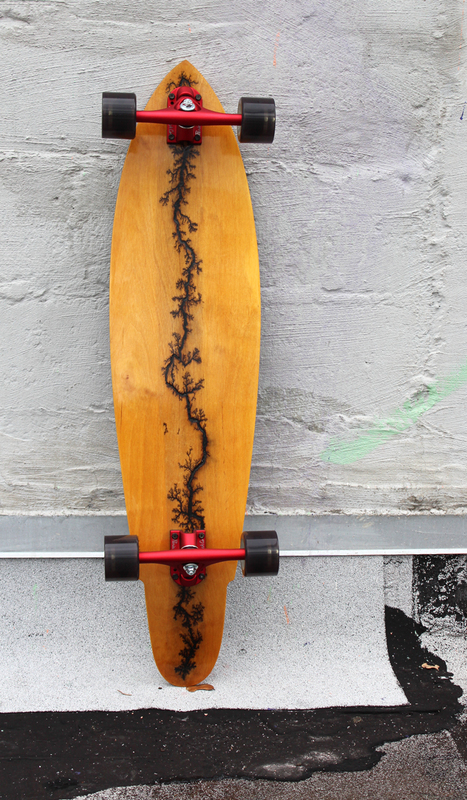 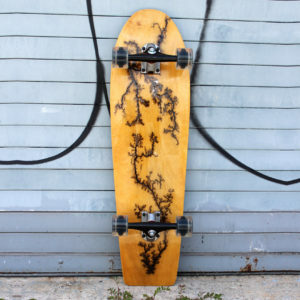 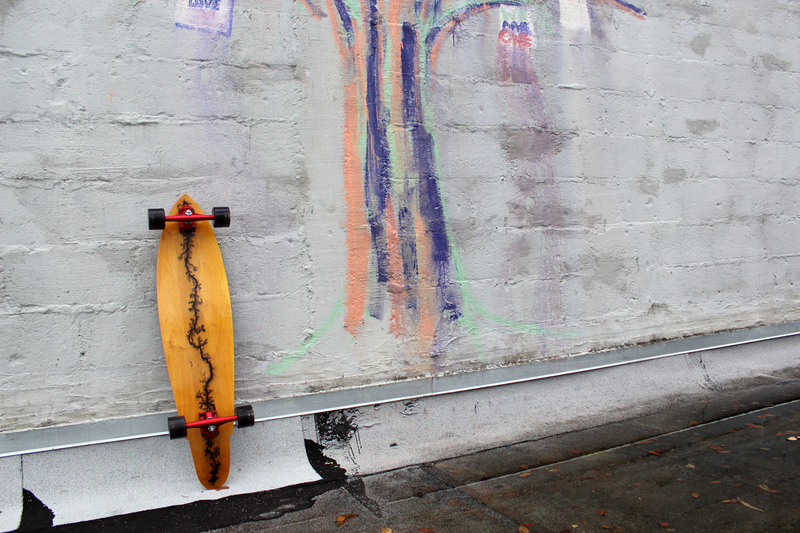 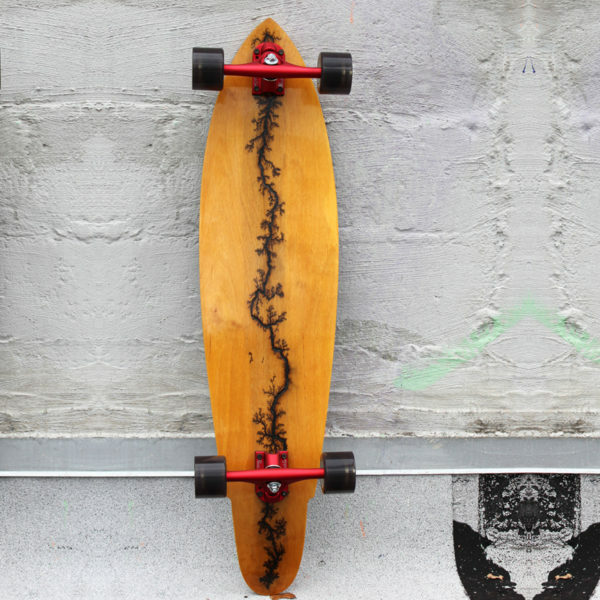 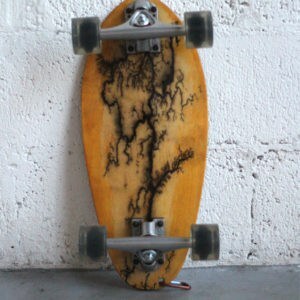 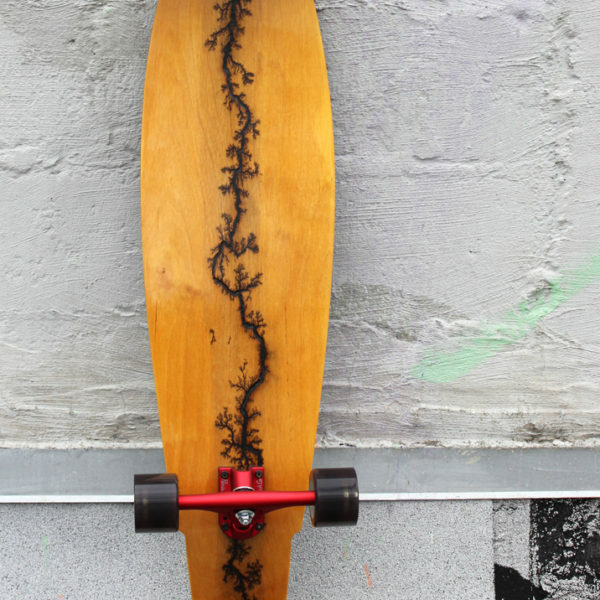 The deck art is one of a kind high-voltage wood burning on Baltic Birch with an epoxy resin finish. 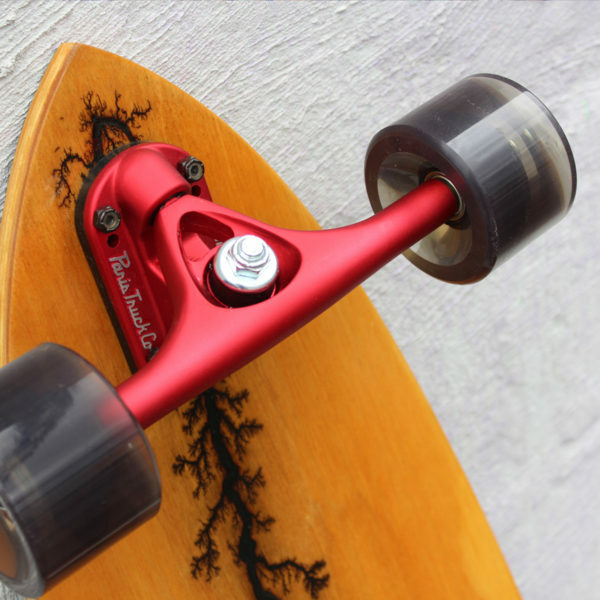 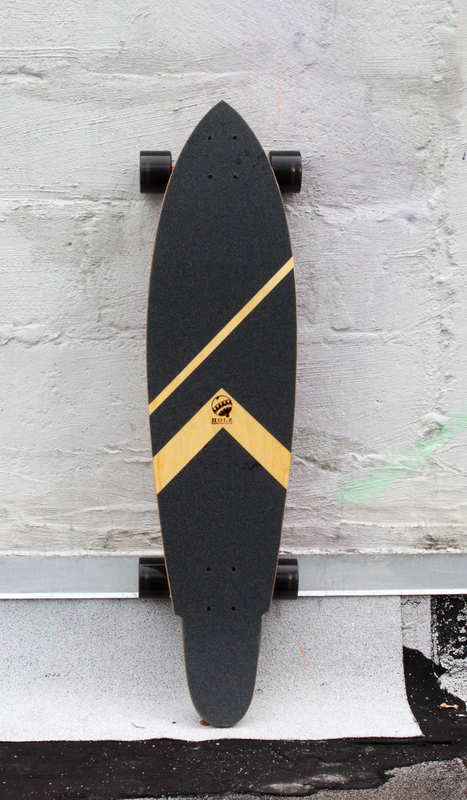 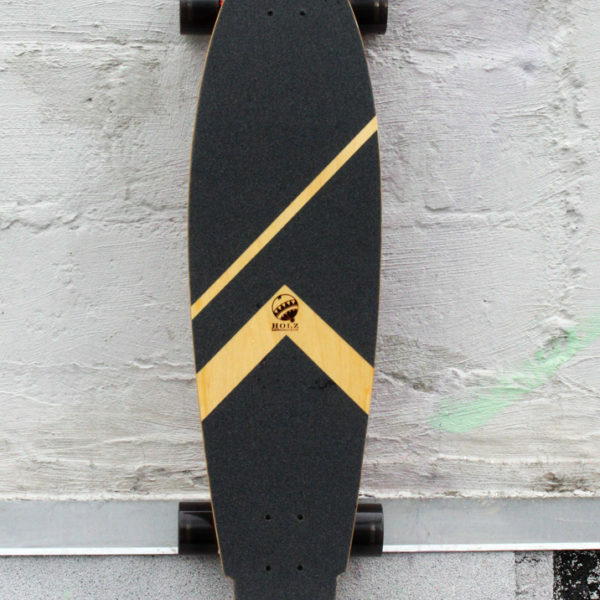 The longboard is equipped with 180mm Paris trucks, clear black 70mm wheels and high quality ABEC 9+ bearings.